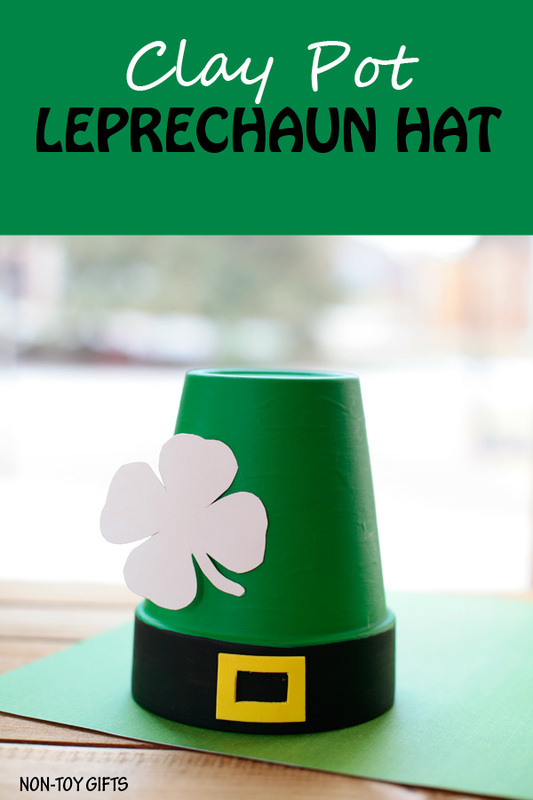 If you are looking for a St. Patrick's Day theme ideas for preschool, pre-k, and kindergarten classrooms, look no further. 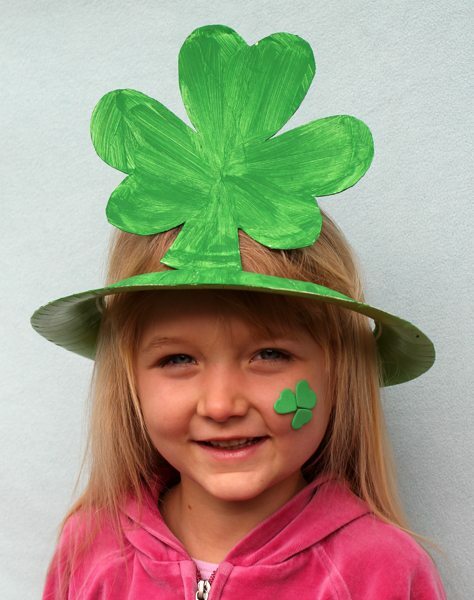 We have curated the best ideas for kids to do on St. Patrick's Day. You will find here lots of easy crafts and activities that kids of all ages will enjoy. 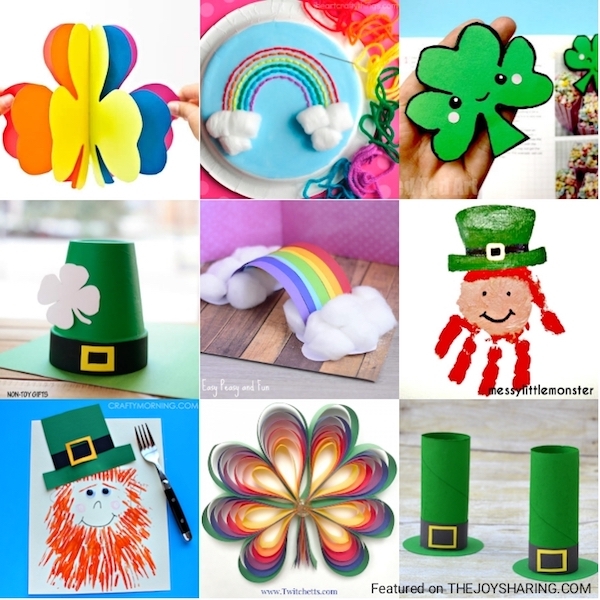 Whether you are looking for some easy shamrock crafts, colorful rainbow craft ideas or fun Leprechaun crafts and Leprechaun trap ideas, we have you covered. We have also curated some fun activities like St. Patrick's Day science experiments, St. Patricks Day sensory play and St. Patrick's Day art projects. These crafts are perfect for a cozy day at home, a classroom craft projects for students, or a playdate with friends. Click on the craft's name below the pictures to get the tutorial. We would love to have you join us on PINTEREST | FACEBOOK | INSTAGRAM to get regular updates on our new crafts. Shamrocks and St. Patrick's Day go hand in hand. So, how can you go without crafting one. 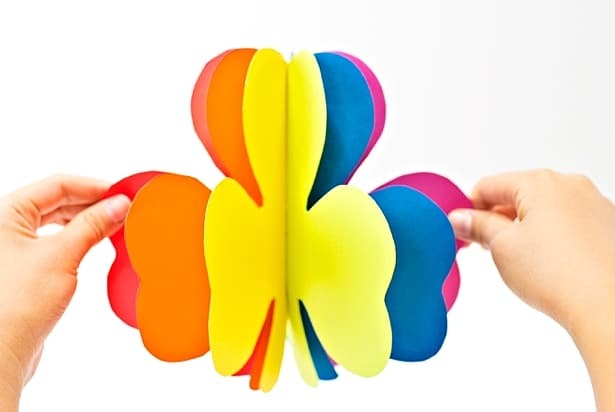 Here is a cute collection of shamrock crafts for preschoolers and kindergartan kids. 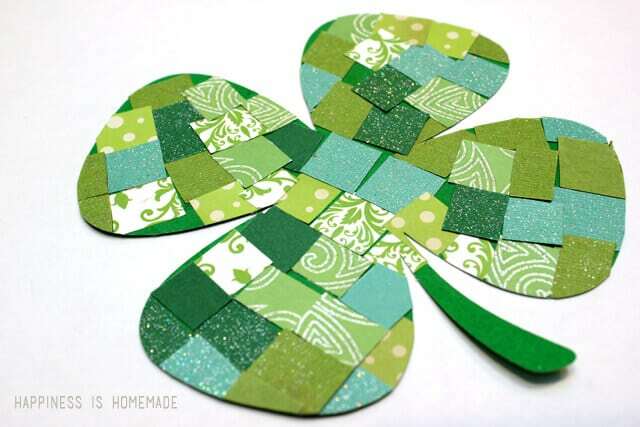 Save those scrap papers to make this fun mosaic shamrock craft. 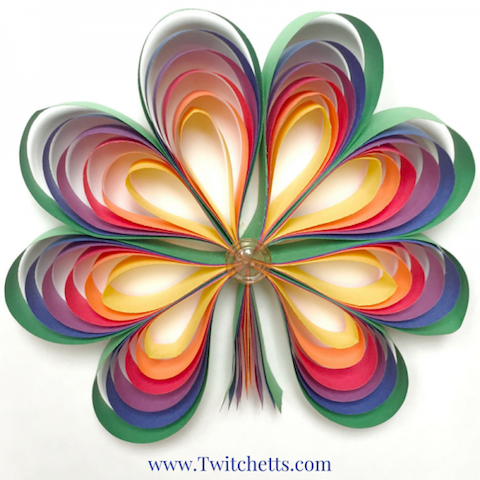 How sweet is this 3D rainbow shamrock! Love that you can add some string and hang it up for a cute decor. 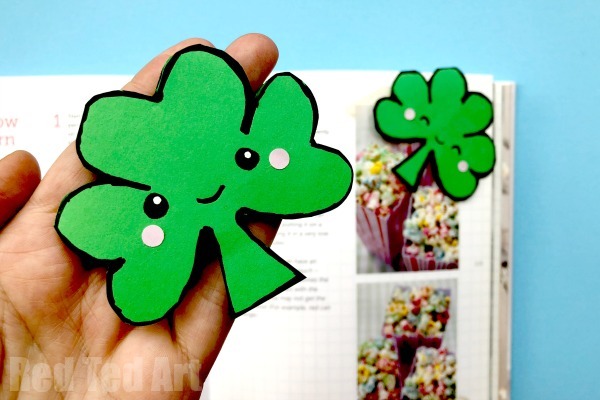 Such a cute and simple way to make this colorful shamrock. All you need for this craft is strips of construction paper and some basic craft supplies. 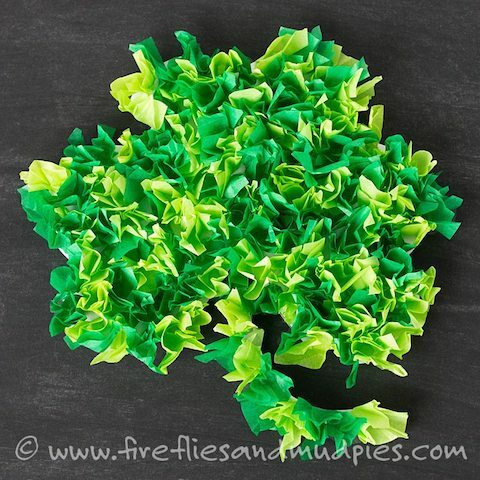 Love how this shamrock craft is made using tissue paper. It’s a fun shamrock craft for school or home and great for fine-motor skills. This is super cute! RedTedArt has the best bookmark craft ideas. Do checkout all the brilliant bookmarks they have. How cool is this shamrock hat! Love that it made using just a paper plate. You know how much I love Paper Plate Crafts. Not just St. Patrick's Day, these colorful rainbow-themed crafts and activities for kids can be done on any day of the year. 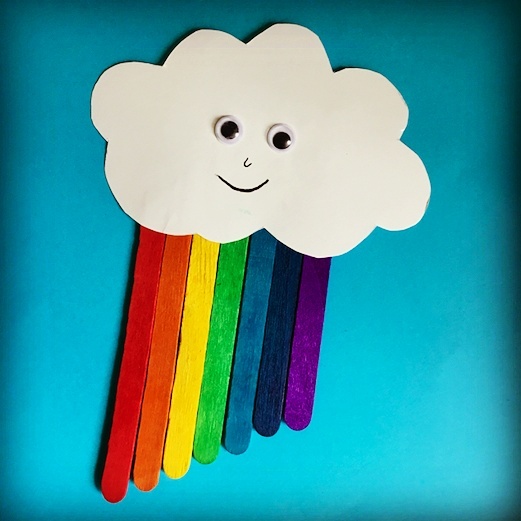 Explore all seven colors of the rainbow with one of these easy rainbow crafts for kids. 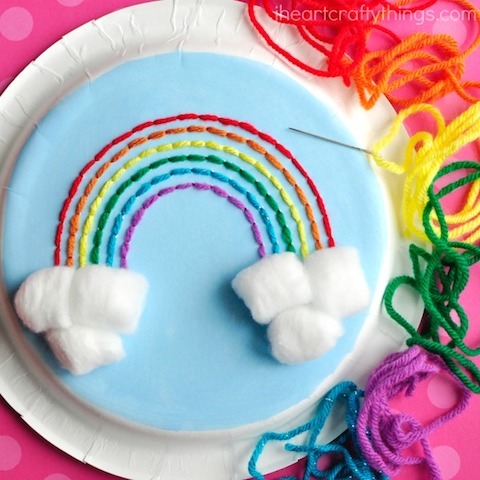 Kids are always ready to make rainbow craft. 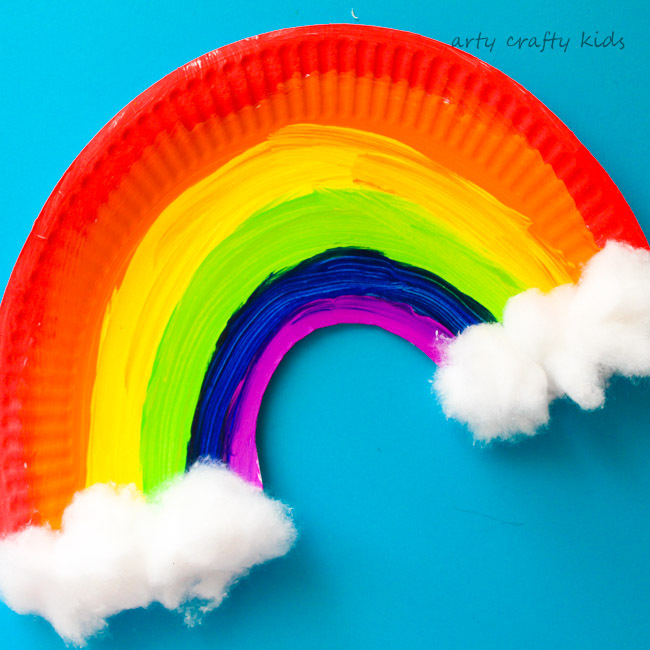 This is such a wonderful rainbow craft idea from Easy Peasy & Fun. Makes a perfect craft project for preshoolers and kindergarten kids for any time of the year. I love how pom-poms add that extra cuteness to a project. 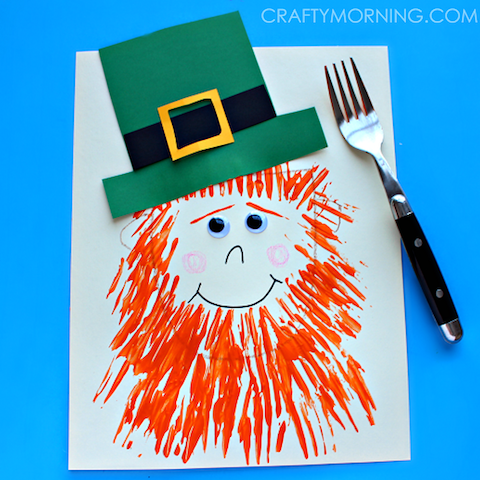 This is a great St. Patrick's day craft for toddlers and preschoolers. This is also a fun activity to help develop fine motor and colour recognition for toddlers. What a fun craft that introduces kids to sewing via I Heart Crafty Things! I adore their craft projects. Another easy paper plate craft which is just perfect for toddler or preschooler. 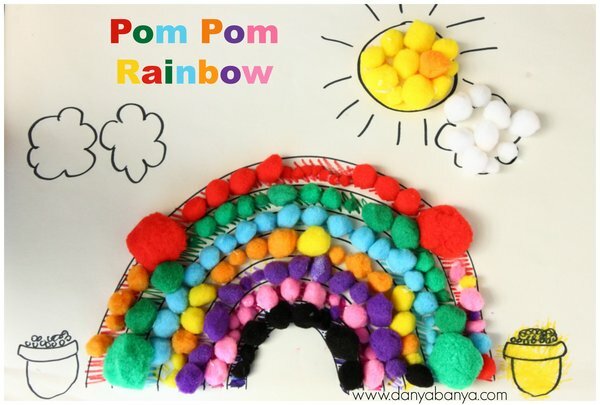 Isn't this an easy and fun way to introduce rainbow to kids? Teach them about VIBGYOR (V-Violet, I-Indigo, B-Blue, G-Green, Y-Yellow, O-Orange, R-Red), the seven lovely colors of a rainbow through this simple craft. 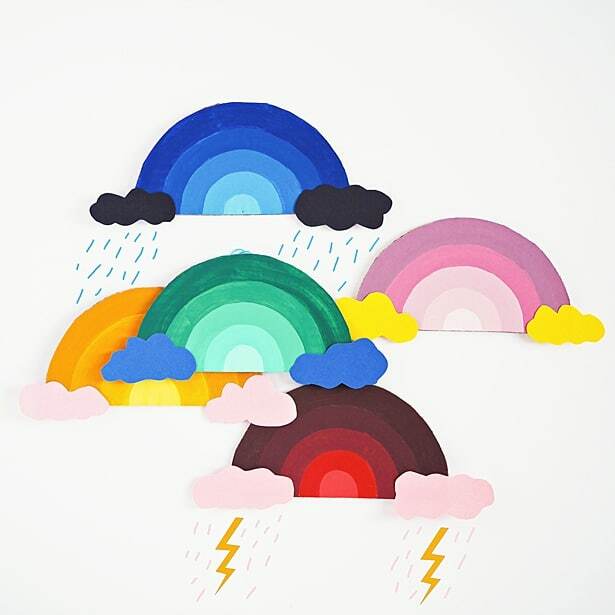 This vibrant cardboard rainbow art by Hello Wonderful is so fun and versatile. 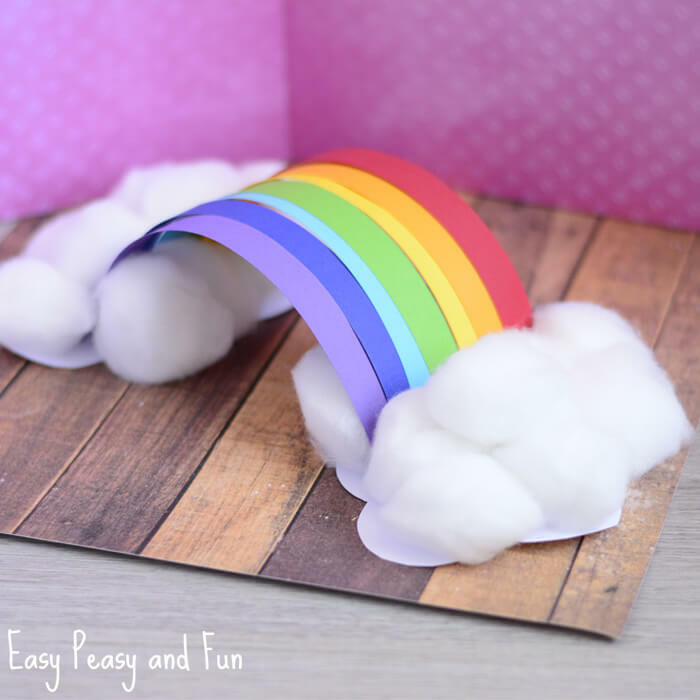 You can hang the rainbows as a cheerful decor, or use them as cards and write on the back. 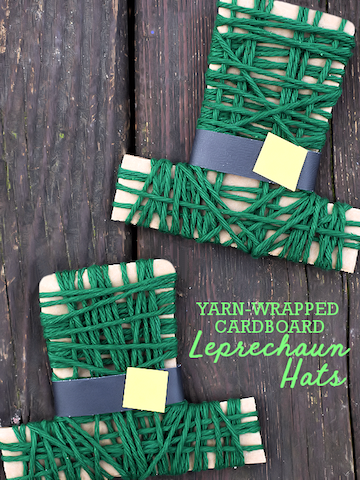 They make a great recycled craft activity for St Patrick’s Day. 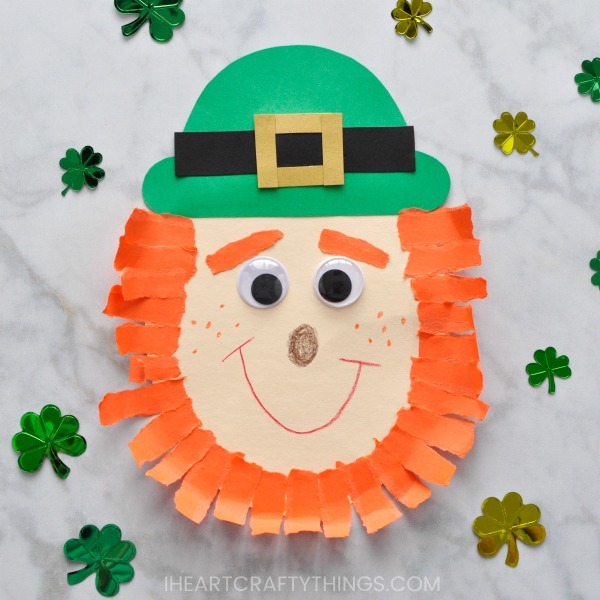 To celebrate St. Patrick’s Day, have your kids make these fun leprechaun crafts. Most of these crafts can be made using supplies you can easily find at your home or school. 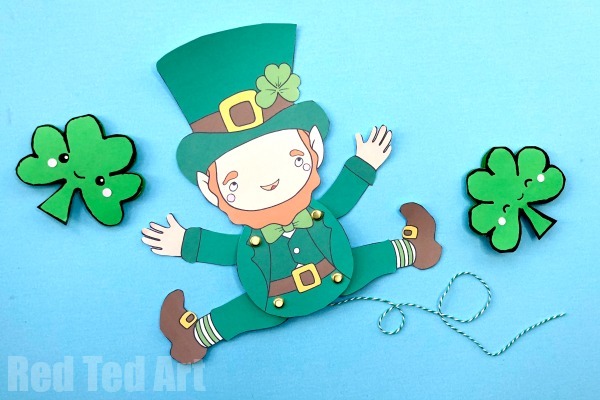 Older kids will love making these Leprechaun puppet. RedTedArt also "colour your own” version which allows kids to personalize their printable. How fun is that! This simple handprint craft is perfect for toddlers and preschoolers. They make cute keepsakes too. 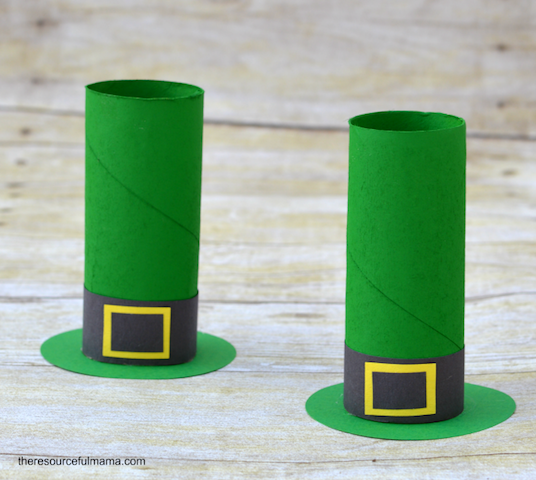 St. Patrick's Day Mini Sound Shakers | Buggy and Buddy - Fun craft activity that incorporates the science of sound and creative play. 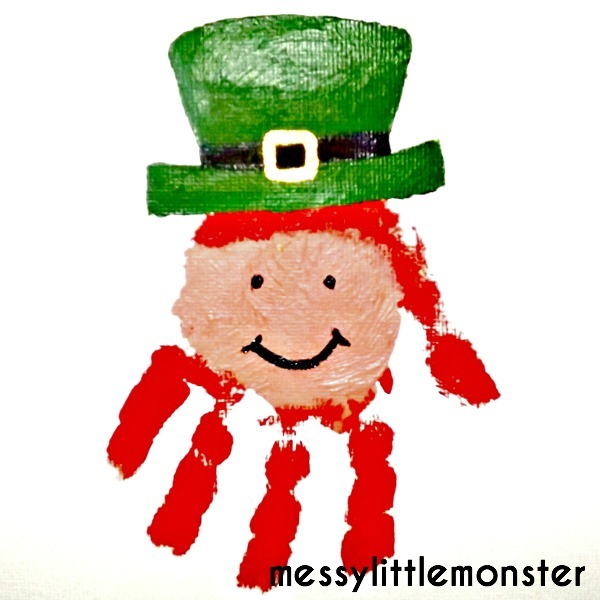 I regularly save my favorite St. Patrick's Day crafts and activities ideas on my Pinterest board below. Do come back to check all the new ideas for St. Patrick's Day. You can also follow the board to get regular updates on latest St. Patrick's Day ideas for Kids.